Born in Aurora, Colorado, and raised in Fort Dodge, Iowa, Cheryl Dannenbring spent her childhood reading any and every dog or horse book she could find. She grew up with a horse named Flicka and a passion for animals, which still remains. Dannenbring received her BA in elementary and special education with an emphasis on deaf education from Augustana College in Sioux Falls, South Dakota, and her MA in teaching emotional and behavioral disorders from the University of Minnesota. She spent more than thirty years teaching elementary and special education in Iowa and Minnesota. 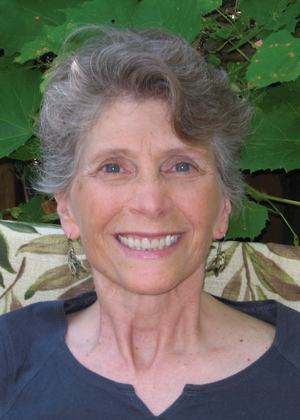 Since her retirement from teaching, Dannenbring has published one childrenâ€™s book and is working on several other projects, including a middle-grade chapter book, a novel, and a pre-school picture book. She is a member of the Society of Childrenâ€™s Book Writers and Illustrators, Childrenâ€™s Literature Network, Chapter and Verse book club, Lake Superior Writers, and a local writing support group. Dannenbring has two grown sons and two beautiful and hilarious grandchildren. She enjoys hiking, camping, kayaking, and cross-country skiing with her husband, Walter. She loves to travel, particularly to Iceland and to Virginia and Oregon to visit her children. Dannenbring also enjoys knitting, cooking, and baking her famous carrot cake. She lives with her husband in Duluth, Minnesota. A fresh take on the classic Twelve Days of Christmas, this adorable story is bounding with humor, playfulness, and disastrous fun for the holiday! Each day leading to Christmas, a very sneaky puppy takes things from around the house to give to his owner as gifts. That trouble-making dog tears the Christmas lights from the evergreen tree and steals mittens! This catchy, sing-song poem progresses from mishap after mishap—empty stockings, rumpled wrapping paper, and cookies crumbled under the tree. How can one little puppy, full of five pounds of love, be so naughty?